Whether on the road or at home, you need to be equipped some basic survival items and tools that can make driving and living with your car easier, safer and more convenient. Here are some suggestions as a starting place, you can customize the list according to your needs and your ambitions. Hose-patch kit for emergency mending of coolant hoses. These kits are usually available at auto parts and discount stores. Pressurized can of tire inflator and sealer for emergency filling of a flat tire. Bottled water and snacks, such as crackers or energy bars. Basic tool set including an adjustable wrench, pliers, screwdrivers, and wrenches. 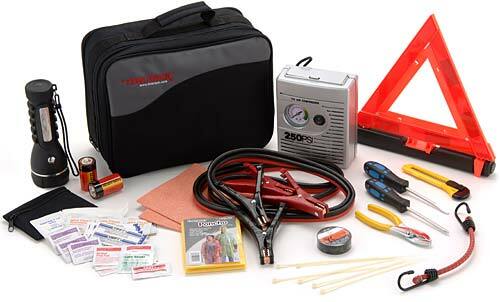 Many auto parts and retail establishments sell compact “tool kits”, perfect for storage in the trunk of your car.